The arrival of spring is a welcome occurrence for many people. Budding flowers are among the harbingers of spring. 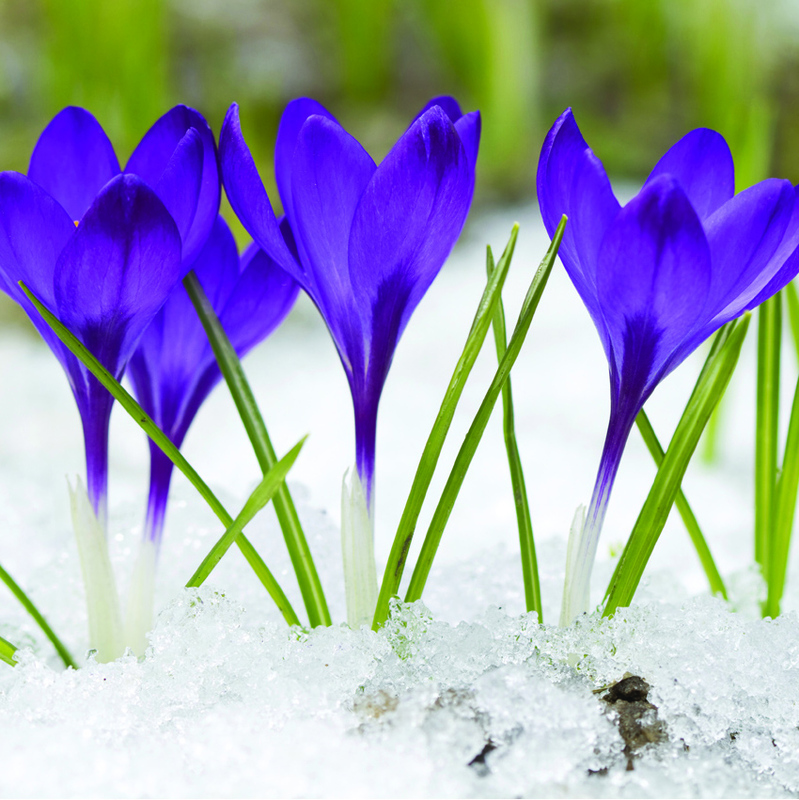 Spring flowers can revitalize winter-weary people just when they need it most — and provide reassurance that brighter, warmer and longer hours of sunlight are just around the corner. Cold-tolerant flowers are hardy enough to start blooming before the last frosts have dissipated. Other flowers will begin to fill in as days warm a little bit more, according to Better Homes and Gardens. Home gardeners looking to warm up their gardens with early blooms can use these flowers in their early-season containers, window boxes and planting beds. Pansies prefer cool weather, which can make them one of the best flowers to plant in early spring and late fall. Pansies come in a variety of colors, so there’s bound to be an offering that will blend with any homeowners’ landscape design. Also known “moss phlox,” creeping phlox is a short ground-cover that is a herbaceous perennial. Phlox produces small, fragrant flowers in dense clusters, which can attract wildlife, such as butterflies, to their mats across the soil surface. Snowdrops can peek out even when there is snow still on the ground — sometimes as early as January and February. But their name is actually a reference to their appearance, as snowdrops have three white petals that hang down like drops dripping off the stem. These flowers are closely related to pansies and, as a result, prefer cool seasons. Violets are generally slightly smaller than pansy blooms, but they can be just as beautiful. But as with pansies, violets will start to fade when the heat arrives. Crocus plants are relatively small, only reaching three to six inches in height. However, their grass-like leaves are some of the first sprouts that can be seen among bulb and corm plantings. Preferring full to partial sun, these gold, purple, lavender, white, or yellow flowers can be enjoyed during the earliest days of spring. Daffodil bulbs produce cheerful, yellow flowers in early spring. They’re one of the most recognizable flowers thanks to their familiar shape and fragrant aroma. Hellebores, also called the Lenten rose or Christmas rose, can tolerate light frosts. These blooms get their name from the time of year when they bloom, which is typically around the Christian Lenten season. Despite their name, these delicate flowers are not actually related to roses, however. Early-blooming flowers give winter-weary gardeners hope that spring has arrived.